Anne Libby (b. 1987 Los Angeles, NY) lives and works in New York. She received her BFA Rhode Island School of Design, Providence, RI in 2009 and received her MFA from Bard College Annandale-On-Hudson, NY in 2016. 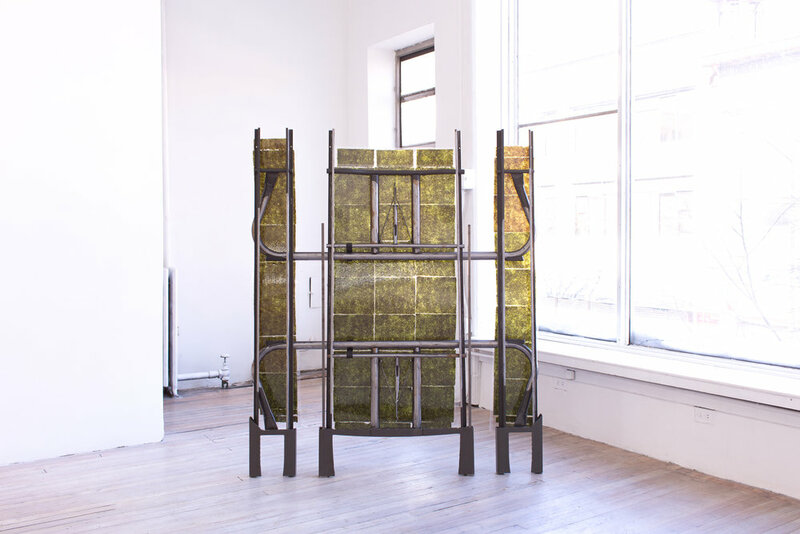 Her recent solo shows include Marrow into Moxie at Night Gallery, Los Angeles, CA, 2016; Lilies Lamellae at Metropolitan Structures, Baltimore MD, 2015; Les Annelés at Violet's Café, Brooklyn, NY, 2015. Her recent group shows include A Dumb Sound, A Sweet Bell at 315 Gallery, Brooklyn, NY, 2017; There is no fact as to whether or not P at 247365, New York NY, 2015; Tears On My Spiderroll at Violet's Café, Brooklyn, NY, 2015; The Fishbone Diagram at U.S. Blues, Brooklyn, NY, 2015.